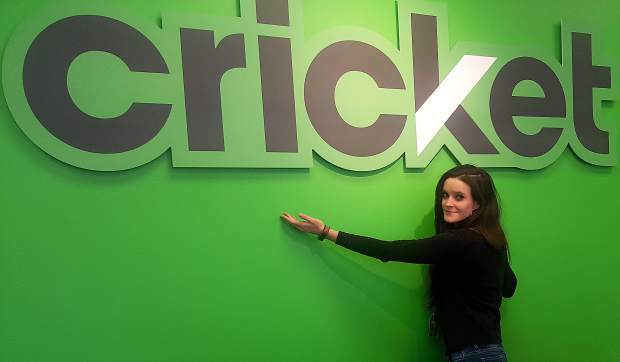 Cricket Wireless sales advocate Ariel Weder has been with the Grass Valey store since it opened this summerr. There was a time when only customers with no credit or bad credit — or those referred to as “unbanked” or “underbanked” — opted for prepaid cellphone plans. And for a long time, major wireless phone companies like Verizon and manufacturers like Apple essentially ignored the prepaid market. Those days are over, even in historically underserved Nevada County, where Cricket Wireless made its retail debut this summer, offering month to month, no-contract plans. Prepaid has become much more mainstream over the last 10 years. Its growing popularity has been ascribed to consumers wanting to try services they may not be ready to commit to, or for business use. Industry analysts also have pointed to millennials as one reason for its growing popularity. And the competition is growing intense. This year, MetroPCS has been targeting Cricket users, while Verizon has been refocusing on the prepaid market after losing customers to Cricket and MetroPCS brands. Apple has been pursuing the prepaid market more aggressively, with the iPhone’s prepaid retail channel placements more than doubling from the second quarter of 2016 to the second quarter of 2017, according to FierceWireless and other tech sites. Cricket Wireless was founded in 1999 by Leap Wireless International and was acquired by AT&T in 2013. Cricket’s first market was Chattanooga, Tenn., in 1999 and through much of its early growth became known as a network focused on small, rural markets. Weder said the brand-new store on Sutton Way in Grass Valley sees customers who have moved here, wanting to switch from other prepaid providers such as MetroPCS, TracFone and even Jitterbug because it’s more convenient to shop locally and because Cricket has better service in this area. Cricket’s unlimited plan is $60/month with unlimited high-speed data access and unlimited talk and text; a family plan with four lines costs $180 a month after a Group Save discount. Weder said Cricket offers phone options that include “everything from flip phones to iPhones,” adding the Grass Valley location will be getting the iPhone 8 soon. And, for those interested in switching but are not sure whether Cricket has good coverage in your neck of the woods, Weder said her store offers loaner phones. “You can take the loaner phone for two days, with a $40 deposit, to check your service,” she said.